The burden of proof is different in different cases. Under Indian Law the Burden of Proof usually rests on the person alleging a particular fact. Further the degree of proof is different in civil and criminal cases. Under Criminal Law there are instances of Burden of Proof being shifted when there is a presumption for example under the offence of Dowry death. Indian Evidence Act further gives provisions with regard to the standard of proof required. In administrative law, it is a settled principle that the onus of proof rests upon the party alleging the invalidity of an order. In other words, there is a presumption that the decision or executive order is properly and validly made, a presumption expressed in the maxim omnia praesumuntur rite esse acta which means ‘all things are presumed to be done in due form. 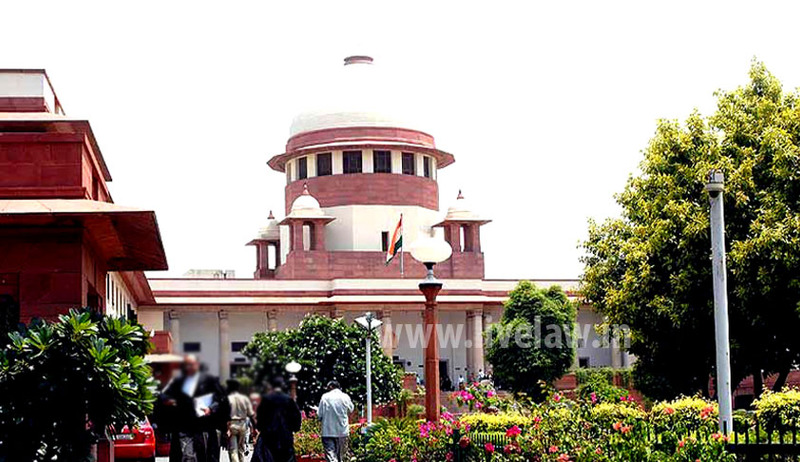 The Supreme Court held in the present case it may be said, that an administrative authority, cannot be put to proof of the facts or conditions on which the validity of its order must depend, unless the Respondent can produce evidence which will shift the burden of proof on the shoulders of the administrative authority. How much evidence is required for this purpose will always depend on the nature of that particular case. … it was held that if an order has an apparent fault on the face of it, the burden is easily transferred. However, if the grounds of attack are bad-faith or unreasonableness, the Plaintiff’s task is heavier. In the present case respondent – Periyasamy, was serving as a Permanent Cash Officer at the Dharmapuri Branch of the State Bank of India in 1986. In a departmental enquiry, he was charged with being accountable for a shortage detected in the currency chest in his joint custody along with one Ganesan.By the second charge, he was charged with not adhering to the laid down instructions regarding currency chest transactions and for committing lapses in the maintenance of the currency chest register. By the third charge, he was charged with excessive outside borrowings in violation of Rule 41(i) of the State Bank of India (Supervising Staff) Service Rules. This departmental proceeding was duly conducted and his dismissal was recommended. It was found that there was a preponderance of the probability that the respondent had been surreptitiously removing currency notes from the chest over a period of time, the shortage being Rs. 1,25,000/-. The Chief General Manager agreed with the dismissal recommended by the disciplinary authority. The appeal of the respondent under the Service Rules of the Bank was also turned down. Against this order the respondent preferred a Writ Petition before the Madras High Court. The learned Single Judge allowed the petition and the Division Bench dismissed the appeal against the petition. Hence, the Bank has preferred this appeal. The Supreme Court has set-aside the impugned order holding that the order of the Single Judge and Division Bench have merged and the learned Single Judge committed an error in approaching the question before it wrongly. The Court also held, it is interesting to note that the learned Single Judge went to the extent of observing that the concept of preponderance of probabilities is alien to domestic enquiries. On the contrary, it is well known that the standard of proof that must be employed in domestic enquiries is in fact that of the preponderance of probabilities. this Court held that a disciplinary proceeding is not a criminal trial and thus, the standard of proof required is that of preponderance of probabilities and not proof beyond reasonable doubt. Further, in Union Bank of India Vs. Vishwa Mohan, this Court was confronted with a case which was similar to the present one. The respondent therein was also a bank employee, who was unable to demonstrate to the Court as to how prejudice had been caused to him due to non-supply of the inquiry authorities report/findings in his case. This Courtheld that in the banking business absolute devotion, diligence, integrity and honesty needs to be preserved by every bank employee and in particular the bank officer. If this were not to be observed, the Court held that the confidence of the public/depositors would be impaired. Thus in that case the Court set-aside the order of the High Court and upheld the dismissal of the bank employee, rejecting the ground that any prejudice had been caused to him on account of non-furnishing of the inquiry report/findings to him. While dealing with the question as to whether a person with doubtful integrity ought to be allowed to work in a Government Department, this Court in Commissioner of Police New Delhi & Anr. Vs. Mehar Singh, held that while the standard of proof in a criminal case is proof beyondall reasonable doubt, the proof in a departmental proceeding it is merely the preponderance of probabilities. The Courtobserved that quite often criminal cases end in acquittal because witnesses turn hostile and therefore, such acquittals are not acquittals on merit. An acquittal based on benefit of doubt would not stand on par with a clean acquittal on merit after a full-fledged trial, where there is no indication of the witnesses being won over. The long standing view on this subject was settled by this Court in R.P. Kapur Vs. Union of India whereby it was held that a departmental proceeding can proceed even though a person is acquitted when the acquittal is other than honourable.